Alemat debuts at Vinitaly 2014, the incredible history of these new winemakers intrigued wine journalists which dedicated them an exclusive video broadcasted on TV as well as numerous magazines. Watch the video to discover Alemat’s history! 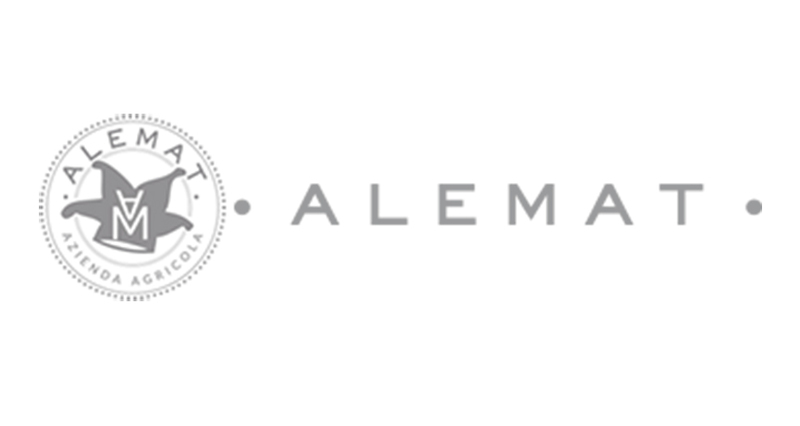 ALEMAT winery starts from our family’s passion for the Wine World. It is a young reality, as we were just born few years ago and although the two of us, as founders, are not exactly young anymore, the spirit that characterizes our reality is young. Our two sons Alessandro and Matteo have inspired the winery’s name and also positively influenced this “teen” spirit that made us accept this challenge with a lot of enthusiasm: a dream can become reality. In this way ALEMAT (A l’è mat! ), which in Piedmontese dialect means “He is crazy!”, has turned real. What for many years has been kept secret, fed by the precious friendships with people that make excellent wines is no longer a dream. The appeal of this world so nice and true helped us to find the courage to change our lives and to start a totally new adventure that from the very beginning granted us invaluable emotions.